contacts for the CBTH project! I wonder if a sponsor could be in the way of an internship program? I wonder if Jacob furthered his education, like uncle John said he should, thru this university? cats or promoting a Class AAA baseball team, internships and cooperative assignments often take Bloomsburg University students into the realm of the unexpected. Students Jacob Lex, Erin Loughlin and Travis Behler recently participated in experiential assignments that allowed them to handle unique job responsibilities. and sonar services firm with responsibility for the Gulf of Mexico and all territorial U.S. waters. During his eight months on-site,Lex worked in Aruba searching unsuccessfully for the remains of Natalee Holloway, an Alabama teenager who disappeared in May 2005. The crew aboard the R/V Persistence—APS’s flagship boat—worked 18-hour days making sonar runs to identify all of the materials that don’t naturally appear on the seafloor, including possible human skeletal remains and pieces of clothing. Lex was responsible for running the ship’s computer equipment. Despite long hours and intense effort, the search came up empty. When the work in Aruba was complete, Lex’s next assignment centered on mapping the seafloor in the Gulf of Mexico. The days and weeks were long, he says, but he bonded with other members of the crew. Following the completion of his co-op, APS offered Lex a future position as a geophysicist, which would require additional schooling beyond his Bloomsburg degree. subsurface mapping, sandstone provenance study, and basin modeling. subcontractor the International Research Institute of Stavanger, Norway (A. Escalona, co-PI). students, and undergraduate students to accomplish the goals of the study. database and as a large format hardcopy atlas. Year One (2008-2009): Basemaps displaying all available seismic and well data. modeling. Preliminary results on the sandstone provenance study and gravity modeling. sponsors for the coming year. the database and construction of the final atlas-report that summarizes all the information. convey research results to sponsors. sample material in the field and from our sponsors (Figure 2). provided only to those companies that supported the acquisition program of Wavefield. incorporate more recent, higher resolution seismic data from the sponsors. Cost of CBTH Phase II for companies who were not sponsors of Phase I. Figure 2. Location of major onland outcrops of Paleogene fluvial and deltaic sandstones. Figure 3. Proposed seismic tracks for acquisition by Wavefield Inseis. ORANGE CITY - The Water and Power (WEB) wants its users to highlight the alarming rise in fuel prices on the world of the last Monday Since April 1 the price of fuel oil 38.80 dollar rose almost 13 dollars to 51.75 dollars. An increase of 33 percent. When exactly this will impact on the rates of water and power, has not yet WEB. However, the utility of the measures it has already taken to reduce fuel oil consumption, such as the new water system, fuel-efficient turbines and the construction of a windmill. In the aftermarket, energy stocks have been rising to the top like oil in water. The strongest players are solar, but more traditional businesses have followed close behind. One such is Cal Dive International DVR (1) (Digital Video Recorder) A device that records video onto a hard disk from one or more ceiling mounted video cameras. Part of a security system, the DVR typically supports 4, 8 or 16 separate camera channels. , which recently took off after a JPMorgan analyst issued a bullish upgrade. The coastal Gulf provides a decent living, especially with all the reconstruction going on after two big hurricanes. But it's an old market, and much depends on a company's ability to expand beyond it. Spending for long-term assets such as factories, equipment, machinery, and buildings that permits the production of more goods and services in future years. grew 19.2% a year between 2002 and 2005, compared to 10.8% for offshore spending as a whole. Superior is also trying to move into more distant waters. In December, it bought the undersea construction unit of a firm based in South Africa South Africa, Afrikaans Suid-Afrika, officially Republic of South Africa, republic (2005 est. pop. 44,344,000), 471,442 sq mi (1,221,037 sq km), S Africa. .
Superior's origins date back to 1970, when diver Louis Schaeffer started up his own business. The current incarnation was incorporated in 1986.
and 60 divers. Since then Superior has bulked up to nine ships and 665 employees. The company's ships come in two types. The five four-point vessels use four anchors to stay in place while the divers work, and are best for shallow water. The other four vessels use satellite and other technologies to hold a position without anchors, and are better for deep or turbulent water and for night work. Another ship in this category is in the works, and should launch in the second half of 2008. Williams WMB providing the largest shares of revenue. Energy is ever a cyclical business and like all players, Superior is at the mercy of the price of oil. It also can be harmed by bad weather and by accidents. One such accident in fact happened in August, causing one of Superior's ships to go out of commission for months. The moves into deeper waters and into non-Gulf markets are still in very early stages. The company still has to execute its plans in order to keep the business growing. Superior competes with a number of other companies, including Cal Dive. Companies get contracts through a competitive bid process, and in busy times much depends on the availability of equipment and staff. Superior must continue to attract skilled workers and make reliable gear. Superior's industry is fairly heavily regulated. Among other rules, the Jones Act restricts the movements of domestic ships, and also limits the hiring of foreign workers. The firm will also limit foreign stock ownership. Despite the long customer list, the top four accounts amount to 46% of revenue. The loss of any one of them would have a notable impact on income. Post-hurricane repair work has pumped up Superior's financials and probably will make for tough comparisons in future quarters. 2. a preparation containing mercury. Superior expects to net about $119.4 million from the sale of 8.7million shares. It will use $51 million to pay debts, $17.3 million for capital expenditures, and $28 million to pay a special dividend to existing shareholders. Founded the company's predecessor, Schaefer Diving, and headed it from 1970 to 1984. For the next 10 years he worked for other companies, including Cal Dive, before becoming chief executive of Superior in 1994. In August, he moved to his current position. Joined in March 2005 and was promoted the following year. Before that he held managerial positions at Torch Offshore, Stolt Comex Seaway and Subsea Subsea is a general term frequently used to refer to equipment, technology, and methods employed to explore, drill, and develop oil and gas fields that exist below the ocean floors. This may be in "shallow" or "deepwater". International. The officer of a firm responsible for day-to-day management, usually the president or an executive vice-president. He's slated to join up in May after spending six years at Consolidated Contractors, where he is the current U.S. representative. He also has been president of Carmel Contracting since it was formed three years ago. He was president of Torch Offshore from 1997 to 2000. Sorry, it still wasn't right! AND Williams WMB providing the largest shares of revenue. Our customers include most of the top 20 crude oil and natural gas producers and most of the top 20 gathering and transmission companies operating on the outer continental shelf of the U.S. Gulf of Mexico. Over the last two years, we have performed services for over 120 customers, and we currently maintain master services agreements with approximately 150 companies. The amount of capital spending by our customers varies from year to year due to the concentrated nature of construction and installation expenditures and the unpredictability of repair work. Consequently, customers that account for a significant portion of our revenues in one year may represent an immaterial portion of our revenues in subsequent years. 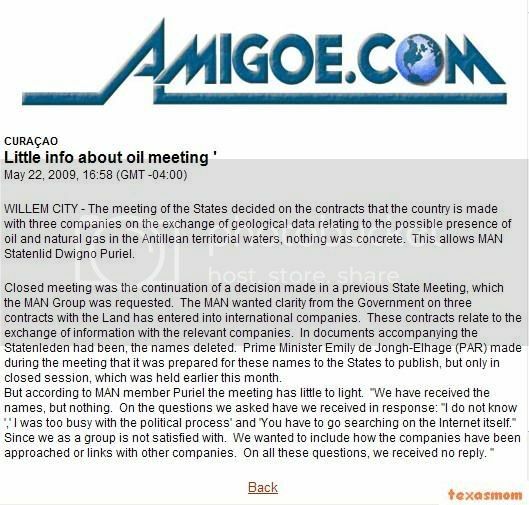 Our two largest customers for the year ended December 31, 2005 were El Paso Corporation and one of its subsidiaries, Southern Natural Gas Company. Our two largest customers for the year ended December 31, 2006 were Newfield Exploration Company and The Williams Companies, Inc. No other customer accounted for more than 10% of our revenues in either period. HOUSTON, Sept 12, 2006 /PRNewswire-FirstCall via COMTEX News Network/ -- Newfield Exploration Company (NYSE: NFX), through its wholly owned subsidiary, Newfield Petroleum U.K. Limited, today announced an agreement with Sojitz Energy Project Limited, a wholly owned subsidiary of Sojitz Corporation, relating to Newfield's Southern Gas Basin exploration and development program. Under the agreement, Sojitz will participate in the ongoing development of the Grove Field and the 2007 exploration and appraisal drilling program which consists of the West Cutter Prospect, the Seven Seas Discovery and two wells planned in the West Sole Area under the existing Exploration and Development Agreement between BP Exploration Operating Company Limited and Newfield. Sojitz will earn 15% of Newfield's interest in the Grove Field and 20% of Newfield's interest in the West Cutter, Seven Seas and West Sole Area Prospects. This transaction is valued at approximately $100 million and is subject to the necessary U.K. government approvals. A production platform for the Grove development was recently installed in the field. The platform has production capacity of approximately 100 MMcf/d of gas and 2,000 BCPD. Newfield is currently drilling the Grove #5 well as a horizontal producer in the central and western fault blocks. Newfield anticipates that the field will be on-line in December 2006. Production is expected to ramp up to approximately 60 MMcf/d and 1,000 BCPD in early 2007. The recent #6 exploration well was drilled from a remote surface location into the western fault block approximately 2.1 km west of the Grove platform. The well found approximately 40' of net gas pay and was temporarily abandoned with a subsea production tree installed. Final plans for the #6 well will be determined once the information obtained from the platform development wells has been integrated into the overall field development plan. Newfield Exploration Company is an independent crude oil and natural gas exploration and production company. The Company relies on a proven growth strategy growing reserves through the drilling of a balanced risk/reward portfolio and select acquisitions. Newfield's domestic areas of operation include the U.S. onshore Gulf Coast, the Anadarko and Arkoma Basins of the Mid-Continent, the Uinta Basin of the Rocky Mountains and the Gulf of Mexico. The Company has international exploration and development projects underway in Malaysia, the U.K. North Sea and China. ** The statements set forth in this release regarding anticipated development and exploration plans, the timing of initial production from Grove, estimated production rates from Grove and forecasted production for 2007 are forward looking and are based upon assumptions and anticipated results that are subject to numerous uncertainties. Actual results may vary significantly from those anticipated due to many factors, including drilling results, geologic and drilling conditions, oil and gas prices, industry conditions, the prices of goods and services, the availability of drilling rigs and other support services, the availability of capital resources, the availability of refining capacity for the crude oil Newfield produces from its Monument Butte Field in Utah and labor conditions. Newfield's ability to produce oil and gas from the Gulf of Mexico is dependent on infrastructure (such as host platforms, pipelines and onshore processing facilities) owned by third parties. Much of this infrastructure was damaged by Hurricanes Katrina and Rita. Most of Newfield's Gulf of Mexico production has returned to pre- storm levels, but it is difficult to predict when all production will be restored. The drilling of oil and gas wells and the production of hydrocarbons are subject to governmental regulations and operating risks. In late 2007, BP obtained exploration rights over two blocks just off Colombia's northern coast on the Caribbean. Awarded by the National Hydrocarbon Agency, this acreage marks our first offshore participation in the country and highlights both confidence and commitment to additional investment in Colombia's energy sector. Blocks RC4 and RC5 total 622,000 hectares (388,000 square miles) and are held by BP, Ecopetrol and Petrobras with 40.56%, 32% and 27.44% participation respectively. During the next three years, with BP as operator, a 3D seismic programme will be conducted to assess the area's hydrocarbon prospectivity. Any further activity, such as an exploratory well, will depend entirely on seismic study results. StatoilHydro (Stavanger, Norway) and Anadarko (The Woodlands, Texas) have signed an agreement whereby StatoilHydro will take over the remaining 50 percent in the Brazilian Peregrino project. This will give StatoilHydro a 100 percent working interest and operatorship of the development. southeastern Caribbean with Dr. Willy Fjeldskaar of Stavanger University. 27-10-05 Shanghai Offshore Oil Group, an affiliate of state China National Offshore Oil Corp (CNOOC), emerged as the 50 % owner and operator of 31.4-mm acres of Caribbean exploration territory, in what could be one of China's largest foreign upstream exploration ventures. The farm-in of the five concessions, stretching from Grenada, just north of Trinidad, to St Vincent and the Grenadines, Saint Lucia, Martinique and Guadeloupe, could be one of China's largest foreign upstream exploration ventures. The positions had been assembled by maverick Denver wildcatter Jack Grynberg and his private RSM Production. Grynberg signed the farmout documents in Shanghai. Estimated outlays to explore the mostly undrilled acreage, covering 127,000 sq miles, are upwards of $ 2-bn, said a source close to the deal. RSM is believed to be "carried" for part of its 50 % share, with the rest to be funded with cash flow from RSM's current 25,000 boepd of net US onshore oil and gas production, rising next year to 35,000 boepd,he said. Grynberg is to operate the concessions through further seismic acquisition, due to resume soon using a Chinese vessel, the companies said. SOOG will nominally operate during the drilling phase. But with its limited track record in upstream operations, speculation is that the Shanghai refining and product marketing company will turn over effective control to CNOOC. RSM has already accumulated 9,512 km of 2-D seismic and will run another 12,000 to 14,000 km by mid 2006, to be followed by an electromagnetic survey of 8 to 12 "specific and most prolific prospects." Drilling by SOOG is slated to start in the second half of 2006. Grynberg told he also has talks scheduled with CNOOC, Sinopec and possibly CNPC to farm out a 25 % operator stake in a 55,500 sq km exploration concession in the Central African Republic, where RSM has already farmed out up to 25 % to Canadian independent United Reef Ltd. The CAR track is adjacent to Chad's Doba basin production and stretches to within 100 km of Sudan, where CNPC is a major producer. Grynberg, noted for promoting initial Western oil ventures in Kazakhstan in the late 1980s and for waging massive litigation against US pipelines over natural gas pricing, began assembling his Caribbean acreage in 1996 with a first-ever offshore concession for Grenada. To resolve stalled boundary disputes with Venezuela and Trinidad, he launched his own legal actions. RSM also holds an exploration tract in Belize. Now in his mid-70s, Grynberg seems determined to see production from his large acreage position. "I don't want to wait forever," he told in 2003. Russia and Venezuela have started drilling for natural gas in the waters around the Caribbean island of Aruba, where Venezuela controls 28 fields possessing an estimated 27 trillion cubic meters of natural gas, according to The Washington Times. Aruba and the Netherlands, which is in charge of Aruba’s foreign affairs, have expressed concern about the drilling because Venezuela did not alert them to its plans beforehand. “They do not really need to ask us for approvals or permission to drill, but needed to inform us,” said Jocelyne Croes, a political minister at the Dutch Embassy in Washington. “We signed a treaty about that, and now they are generating new frictions in situations that used to be under control,” Croes said, referring to a treaty ratified in 1986. In November 2008, President Dmitry Medvedev became the first Russian leader to visit Venezuela. His meeting with Venezuelan President Hugo Chávez coincided with “expected to coincide with joint naval exercises off Venezuela’s coast, led by the Russian nuclear-powered warship, Peter the Great, and comes as the two powers announce that Russia will help Venezuela build a nuclear reactor,” according to The Christian Science Monitor. Tensions between the United States and Venezuela and Russia have escalated recently as the latter two countries strengthen their ties, both financially and militarily. In July, Venezuela, one of the world’s main oil producers, and Russia hatched a five-year plan whereby Russian oil companies LUKoil and Gazprom will invest up to $30 billion into Venezuela’s Orinoco Basin. Also in July, Chávez traveled to Russia and “purchased a number of anti-aircraft systems; three ‘Varshavianka’-class submarines; 53 helicopters; and 24 Sukhoi fighter planes, with a total price tag of $4.5 billion,” according to FrontPage Magazine. Then on Sept. 10, two Russian Tu-160 “Blackjack” bombers arrived in Venezuela, allegedly to help patrol neutral waters in the Caribbean and Pacific. U.S. officials feared that the planes could have been carrying nuclear weapons; the Russian air force initially substantiated these accusations but then backtracked. The Venezuelan government also released a statement saying that the conflict in Georgia was “planned, prepared, and ordered” by the United States in an “incitement of violence,” FrontPage reports. Diplomatic Courier: Iran, Russia, Venezuela, and Bolivia: Partnership against the U.S. The Russia-Venezuela alliance isn’t the only concern in the region for the United States. Iran, one of the primary foes of the United States, has become a major player in South America. In early September, Bolivian President Evo Morales traveled to Tehran to meet with Iranian President Mahmoud Ahmadinejad. Morales also opted to relocate Bolivia’s only embassy in the Middle East from Cairo to Tehran, the Diplomatic Courier writes. Iran has said it will invest more than $1 billion to Bolivia’s natural gas industry. Russia’s actions in Venezuela serve two purposes for Chávez and Morales, according to the Los Angeles Times: provoking the United States “distracts domestic attention from their disastrous policies and could, they hope, produce an overreaction in kind from Washington that would further their interests.” The Times claimed that Morales is fighting with affluent white landowners who oppose his policy of redistributing the nation’s wealth. And, although Chávez is still popular in Venezuela, the country has a 34 percent inflation rate and there is “intensified scrutiny of his incompetent domestic policies.” Congress should not overreact to the situation in Latin America by cutting trade, the Times argued, because doing so would only solidify opposition to the United States in Bolivia and Venezuela. But Tony Karon, senior editor at Time magazine, took a somewhat different perspective in an op-ed published in the U.A.E. publication The National. He said the American news media blew the situation out of proportion when Russia sent bombers to Venezuela. There is no “new Cold War” because “there’s no ideological basis for the alliance between the self-styled socialist Venezuelan leader and the Islamists in Tehran or the nationalists in Moscow; simply a common antipathy towards the US and a shared interest in keeping oil prices high. During the Cold War there were two world economies, and you were part of either one or the other.” Now only one world economy exists, and they are so inextricably connected that business takes precedence. Page created in 6.301 seconds with 19 queries.